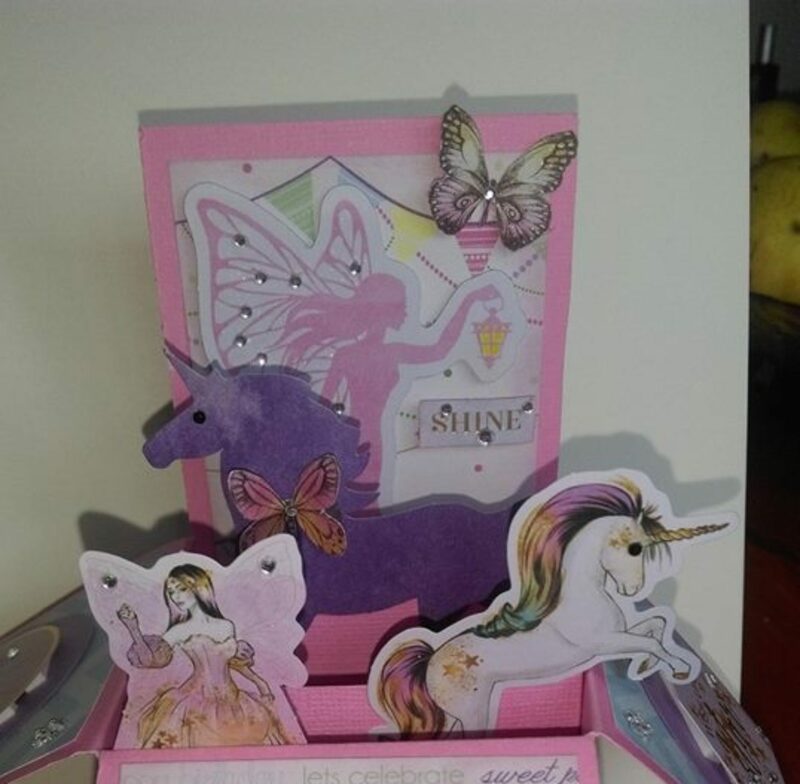 This week was embellishment week for the Amp it up August collab with Heavenly Imaginings. I made some giant paperclips and large poinsettias with danglies. I made two different styles of paper clips. For the first set I used wire edged Christmas ribbons to make bows. During the course of making these I discovered that premaking the bows and using hot glue to add them to the paperclip was best. I then took a piece of the ribbon and wrapped it around the middle of bow and over the paper clip to make everything secure. The second style of bow I made uses the Tim Holtz Paper Rosette and Mini Rosettes dies. Hot glue is not my friend! I burnt my fingers a lot . I used hot glue to add these to the paperclips and a circle punched from patterned paper to make their backs neat. The centres of the rosettes and bows are decorated with embellishments I pulled off Christmas wine markers, Dress It Up buttons and a little tree from Kmart. I think they turned out quite cute. What do you think? The papers are from the Kaisercraft Collections, Yuletide and Pear Tree. Don’t forget to check out all the other talented ladies in the collab. Hope you are creating your own arty crafty alchemy. Bye for now.